With our core group of ancient veterans we hold the experience to confront almost any threat. Where other, less prepared groups might fail, we bring the knowledge to help us prepare, confront, and succeed. Do you have a deadly curse, a magically-trapped building, or a beast animated by dark magic causing you trouble? Having trouble with a warlock with a grudge, or a spirit that just won’t leave you be? Then look no further – the Unbroken can aid (for a price). 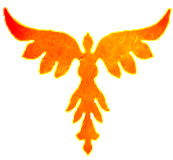 For those looking for further information, including what we offer potential recruits (in and out of character) and what we do, check our Guild Information page, or our Guest forum. The guild’s history can also be found in the links above. Guests may post in the Guest section of the forum with any questions or contact information, or just find one of us in-game and whisper us.